-- Select a Size -- X-Small - Out of Stock! Small - Out of Stock! Medium - Coming Soon! Large - Out of Stock! Change your dog's Doggles lens color for fun or function with your ILS system dog goggles! Lenses are designed for the ILS2 style Doggles available in 5 sizes (XS - XL). Order according to the size Doggles that you own or are buying. If your Doggles ILS original lenses get damaged or boring, replace them easily with these cool clear lenses! Clear lenses are a popular choice for dogs that don't care for darker lenses or must wear protective eyewear indoors. 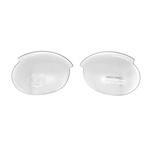 Our ILS lenses are easy to change out. Simply slide out the old lenses from the top of the goggles and slide the new set in. A nice lens carrying pouch is included with your purchase to store multiple styles. These clear replacement lenses for the Doggles ILS system still offer the same 100% UV ray protection that the colored lenses do. They are also shatterproof polycarbonate and have anti-fog properties. 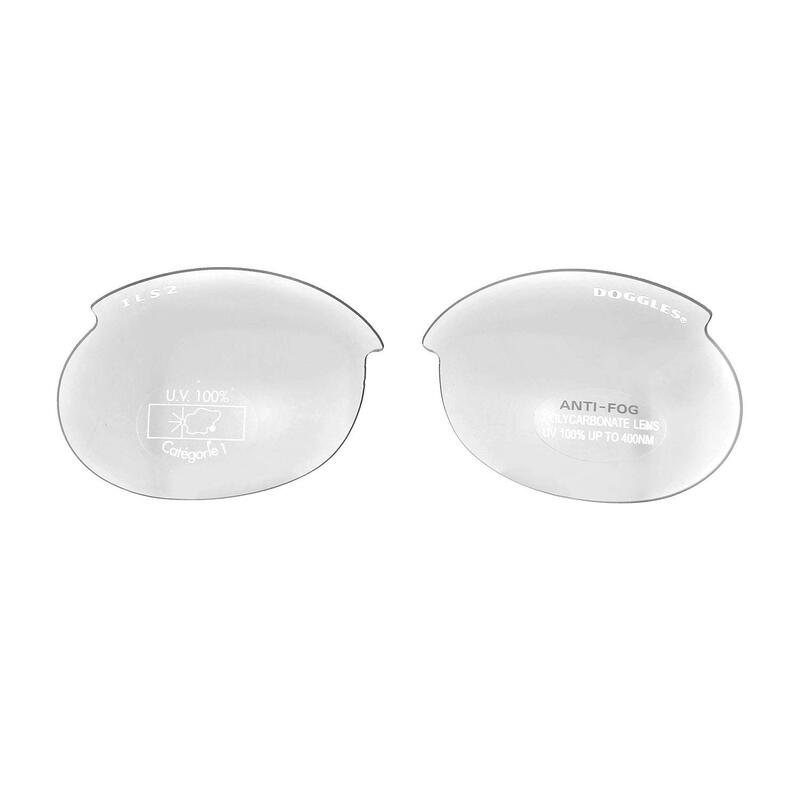 These clear lenses are ideal for dogs with eye conditions that benefit from regular dog eye protection. Dogs with dry eyes, protruding eyes with impaired vision, and other ophthalmological issues can enjoy comfortable all-day protection with Doggles. These clear lenses are perfect for indoor and outdoor use and may be preferred by dogs that don't like darker lens colors. Easily swap out your current ILS Doggles lenses and your dog will love the clear difference! Available in multiple colors! Doggles help dogs who need eye protection from the sun's harmful rays, flying debris, blowing sand, drying wind, flying rocks, or bugs. Head Strap and Frame: 5-13"
Head Strap and Frame: 12-20"
Head Strap and Frame: 15-25"
Head Strap and Frame: 18-30"
Head Strap and Frame: 22-45"
OK Amazing People at BaxterBoo! I just have to say...you were all I hoped and more when it came to returning a defective Zack and Zoey dog carrier. The zipper broke one day after I got it. I called and a wonderful representative (A female...Tina, maybe?) on the next business day to say she was shipping out a new one and to just return the defective one via prepaid shipping label. Willoughby and I are going to come to you for everything except bananas and toilet paper! We love your store and your Nordstrom's-esque approach to customer service. Nothing but love, BaxterBoo...nothing but love!